When you’re completing Form 1095-C - whether for your own business or a client’s - it’s important to know what you’re in for. And just to get you prepared, line 14 is a pretty important one. You know how when you were coming up with health insurance coverage to offer your employees, you had to make sure it met Affordable Care Act guidelines regarding minimum essential coverage (MEC), minimum value (MV), and dependent coverage? Well, line 14 is where you get to show off you did that! In line 14, you use a specific code for each month (or all 12 months!) that comes from the ACA Code Series 1. This code will tell the IRS if the coverage you offered met all necessary requirements. Things are a little different for Code Series 1 and, therefore, line 14 this year. For those of you keeping track of the differences between the 2015 and 2016 filing codes, code 1I was removed and codes 1J and 1K were added to include more coverage options. -Use code 1A if you made a Qualifying Offer to the employee and their spouse and dependent(s), if any. A Qualifying Offer provides MEC at MV and the Employee Required Contribution is no more than 9.5% of the mainland single federal poverty line, as adjusted. -Use code 1B if you offered MEC at MV to the employee only. -Use code 1C if you offered MEC at MV to the employee and their dependent(s) but not their spouse. -Use code 1D if you offered MEC at MV to the employee and their spouse but not their dependent(s). -Use code 1E if you offered MEC at MV to the employee as well as their spouse and dependent(s). -Use code 1F if you offered MEC that did not meet MV to the employee, spouse, dependent(s), or any combination of the three. -Use code 1G if you offered MEC for at least one month to a non-employee or a part-time employee. Keep in mind that code 1G must be used for all twelve months. -Use code 1H if you didn’t offer coverage to the employee. -Use code 1J if you offered MEC at MV to the employee and conditionally to their spouse but not to their dependent(s). -Use code 1K if you offered MEC at MV to the employee and their dependent(s) and conditionally offered it to their spouse. 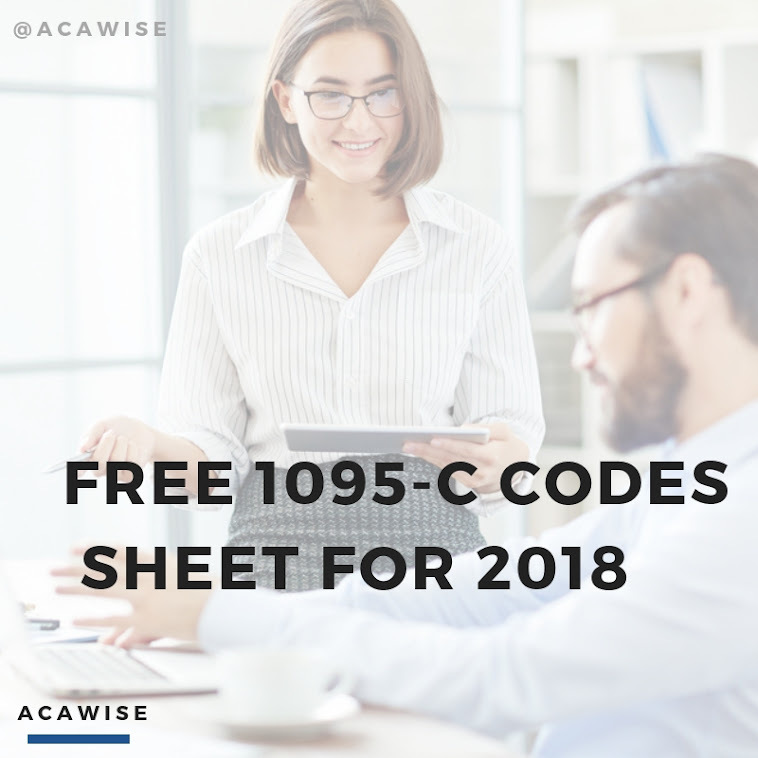 Don’t forget to check out our next blog post on line 16 and the second set of codes you’ll need to complete Form 1095-C!